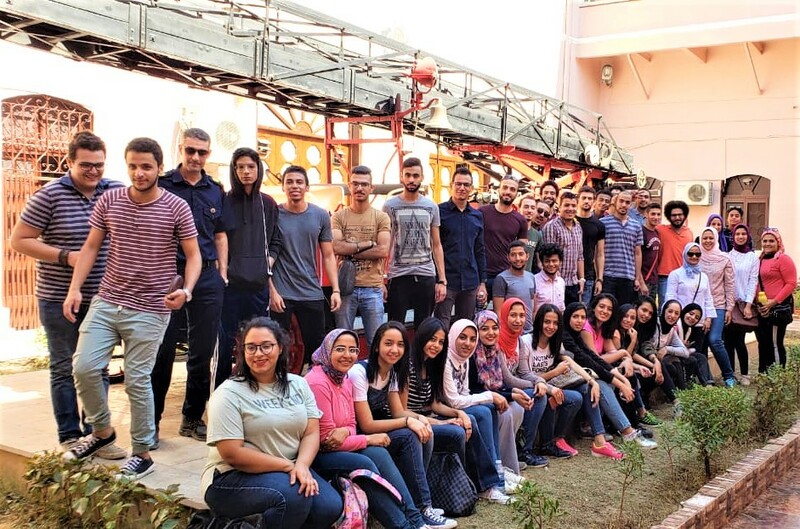 Under the auspices of Prof. Ramadan Abdel Maksoud, the Head of the Architectural Engineering Department, a field trip was organized for the fourth-year students where they visited Kom Al Dikka fire station. This was held on Saturday,13 October 2018. 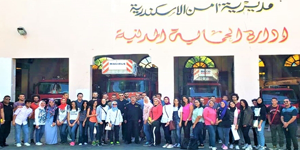 The students were acquainted during the visit with the features of the architectural design of Kom Al Dikka fire station which will also be taken into consideration when constructing a new fire station in Borg Al Arab. At the beginning of the visit, the PUA delegation was received by the fire brigades, then they were escorted in a tour where they were oriented towards the station’s departments and spaces as well as the in-house procedures that taken by the firefighters once being called, how they get in the fire engines to head for their destination and their course of action outside the station till they return. The PUA group was also introduced to the station’s training sites and its contents as well as the different types and sizes of the fire engines. The aim of this trip was to achieve the learning outcomes through the application of the acquired information, thus boosting the students’ learning process. The coordination of the visit was managed by Prof. Ghada Ragheb, Dr. Maha Ali, Eng. Shaimaa Fekry and Eng. Nada Yousry.